Riverside walks never fail to be interesting, as rivers are havens for wildlife of all sorts and anything could drift past. Colourful narrowboats, shy waterbirds, the splash of a fish, eerie reeds as they sway in the breeze, if you stay alert all sorts of sights and sounds will delight you. 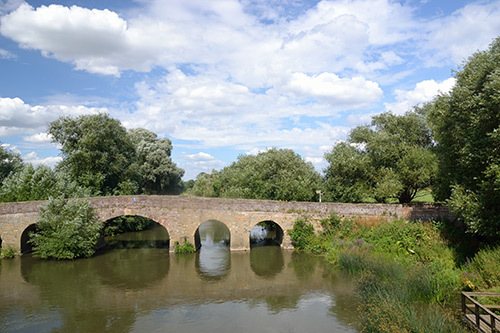 This fully waymarked walk along the River Avon will not disappoint, whatever time of year you visit. There are no stiles to negotiate on this walk. Terrain - mostly flat, field edge / riverside walking. The riverside sections may become muddy after periods of flooding. A gradual climb into Tiddesley Wood on well-made forest tracks. Please note that the public toilets at Pershore Bridges Picnic Place are now permanently closed.